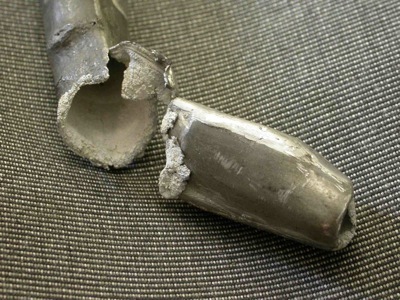 The repair or restoration of metal pipes forms a significant part of our work. Although a well made organ pipe can last for two hundred years or more, wear and tear inevitably take their toll. 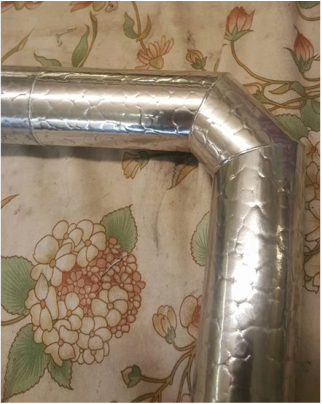 Lead pipes can buckle under their own weight, solder joints can fail, corrosion can eat away the metal, tin pest can cause damage and the accumulation of dirt and grime can render a pipe speechless. 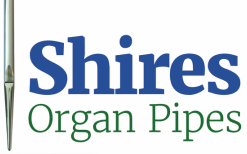 You may rest assured that the members of our experienced team at Shires Organs Pipes have the appropriate techniques to deal with these and other problems. 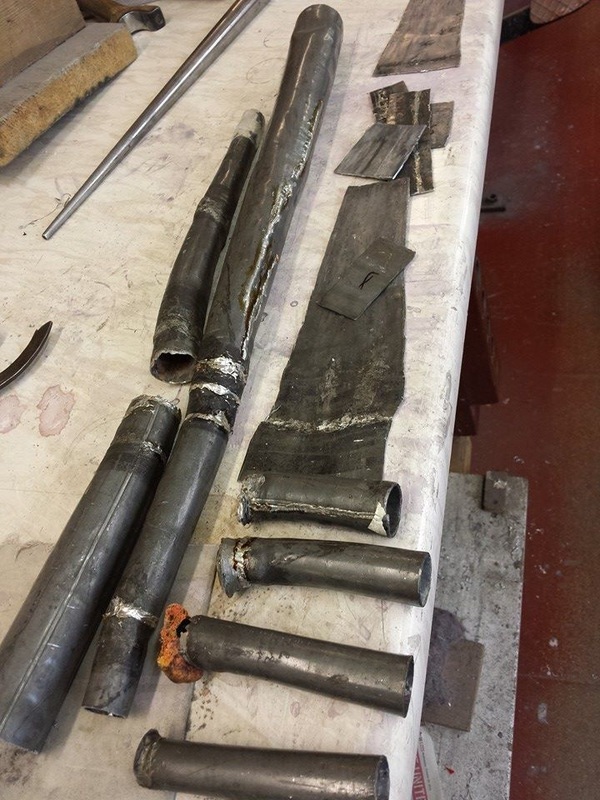 Our experienced pipe makers are sometimes asked to repair what may seem to the casual eye like basket cases. 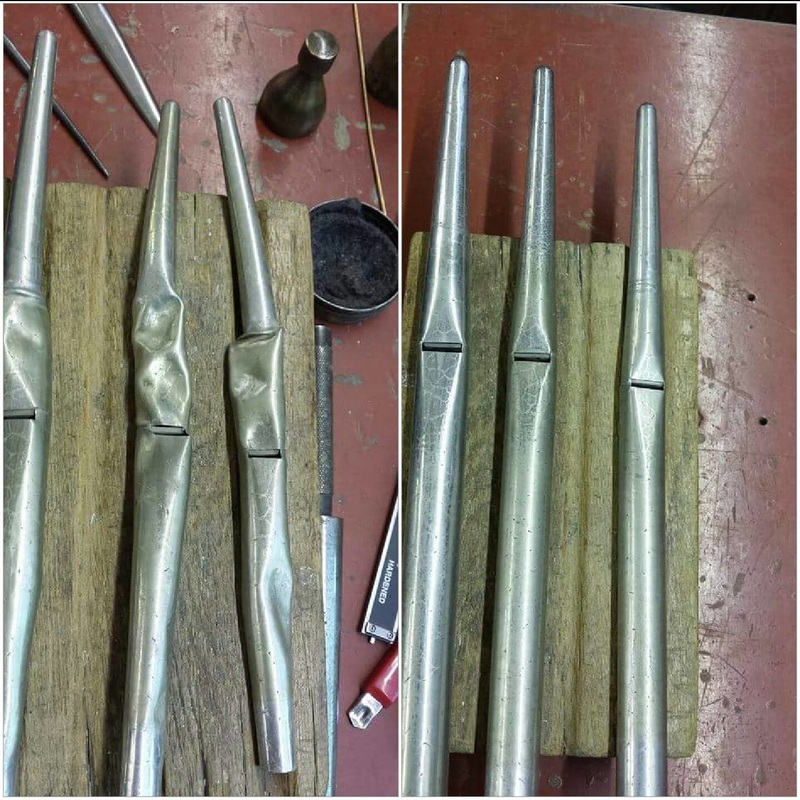 But where there's a will – and a decent soldering iron – there a way, as these dramatic before and after pictures show! 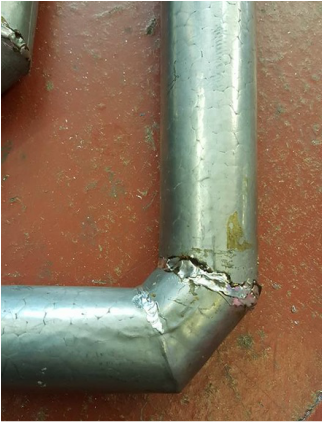 This difficult repair, below was carried out with typical skill by George Fowler. 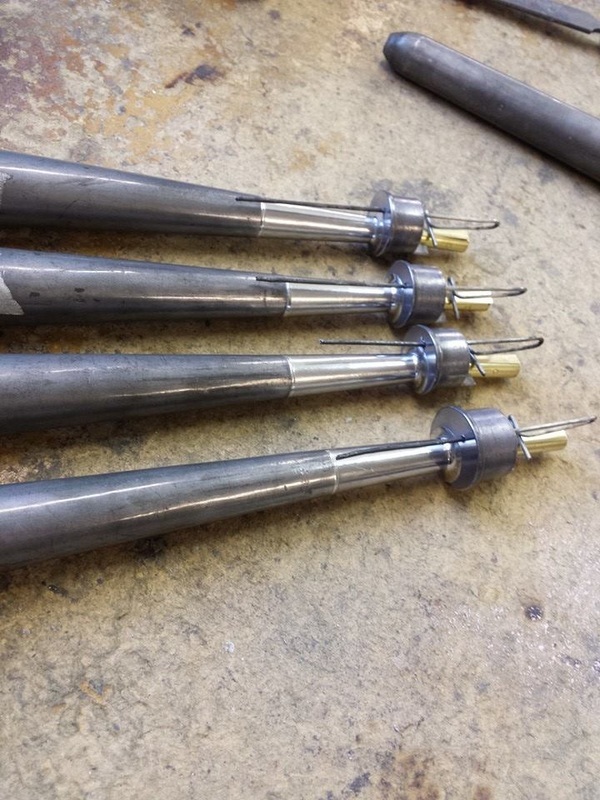 The reeds, left and centre, were in a state of collapse when they were delivered to our workshop in Leeds by an organ builder. With some careful work by our team, however, the ravaged pipes were repaired and the pipes were restored to life. Result: A happy customer. 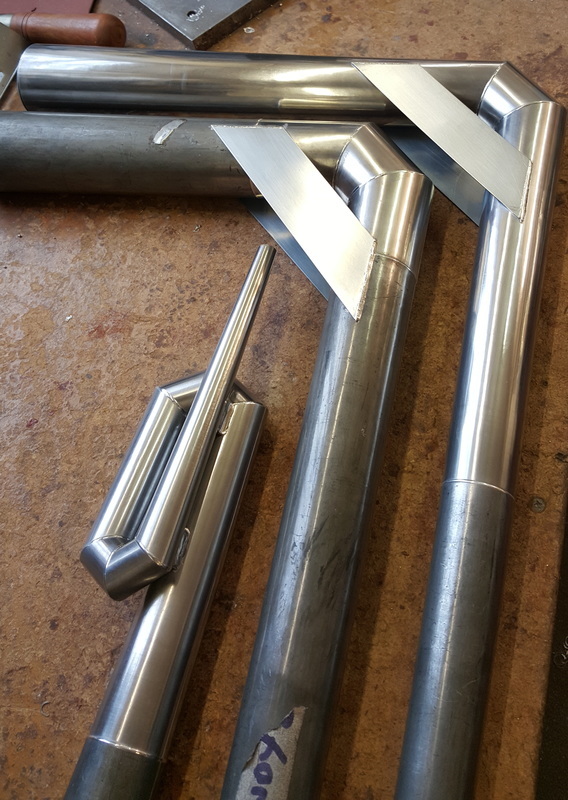 From time to time, we receive pipes that have been 'repaired' by less than fastidious craftsmen! One horror we were asked to put right was a swell Salicional whose faulty mitred joints had been clumsily re-soldered. 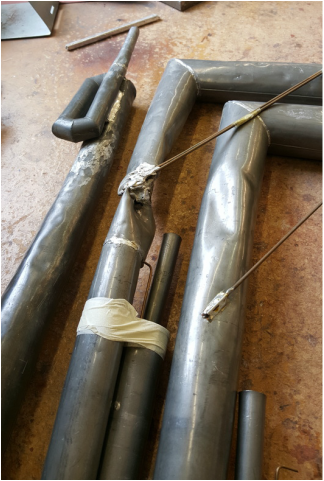 ​Members of our team take pride in every aspect of pipework, so we carefully repaired the joints and polished the spotted metal so that the pipe, pictured far right, would once more look and perform as new. No organist could have blown his trumpet with a pipe in this sorry state. It had been so badly damaged due to previous poor attempts at repair that we thought it best to replace it with new metal. Old sections were cut off and opened up to act as a template, thus enabling a perfect fit. We are pleased to say that this trumpet should sound for many more years to come. 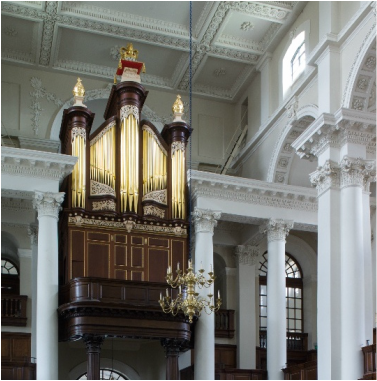 Shires Organ Pipes was privileged to be involved in the comprehensive restoration of the Richard Bridge organ of Christ Church Spitalfields, London. ​Bridge, who died in 1758, was one of the leading craftsmen of his day, and his instrument was a musical and visual tour de force complementing the architectural grandeur of Hawksmoor’s church which is now recognised as one of the high points of the English baroque. 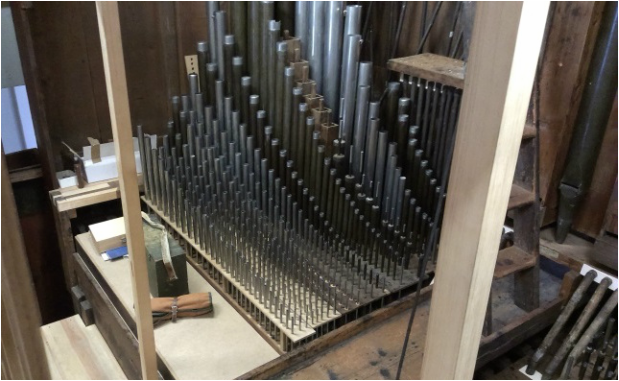 This fine instrument had been silent since around 1960, unplayable through decay and neglect until its meticulously researched restoration in June 2015 by William Drake Organ Builders of Devon. 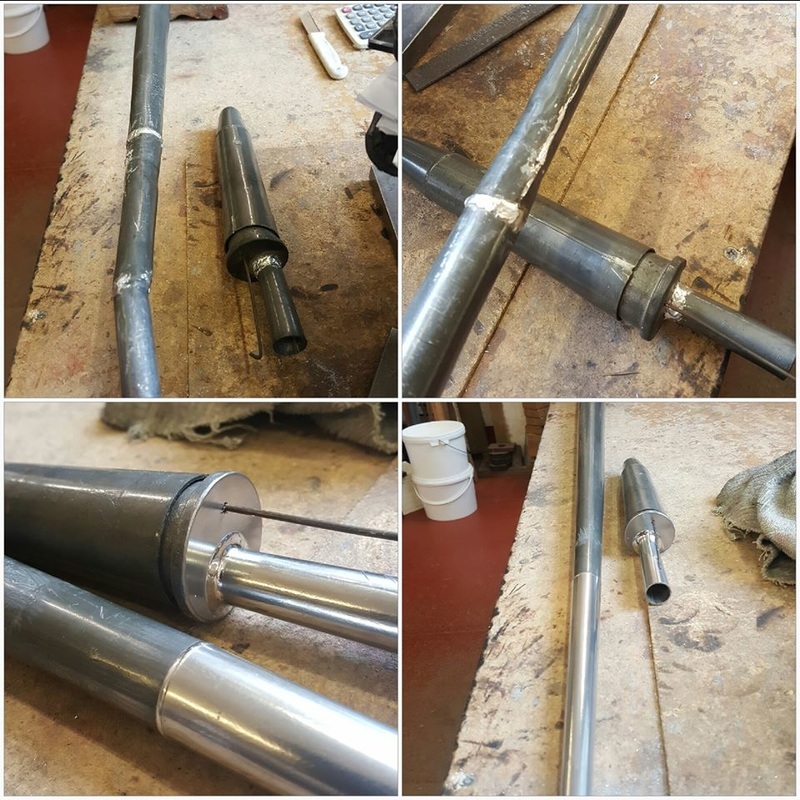 ​We were delighted to be entrusted by that firm with the restoration of metal pipes and the careful manufacture of new ones to match those which had disappeared over the years. ​These hooded pipes, left and above, had been damaged by badly soldered phosphor bronze supports. 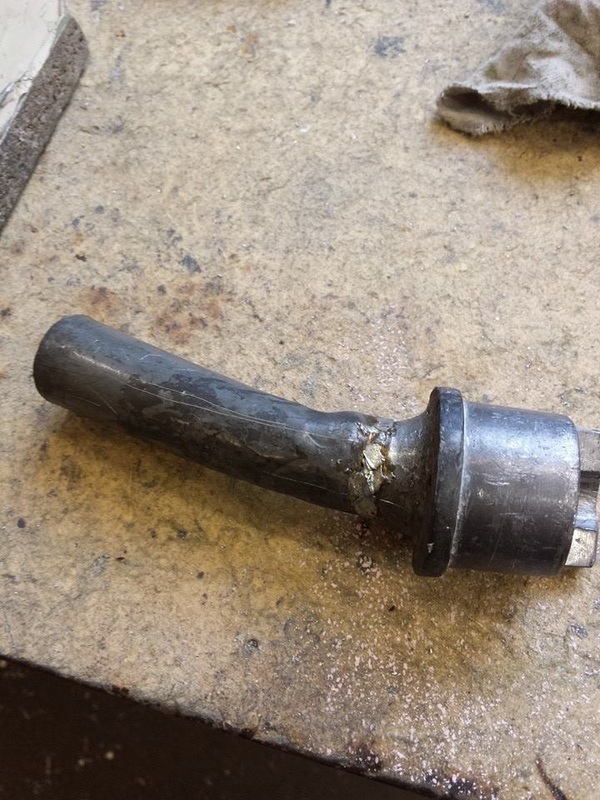 To rectify the problem, new pipe sections and zinc supports were made, right. The 17th century Stellwagen organ in St Jakobi Church, Lubeck. 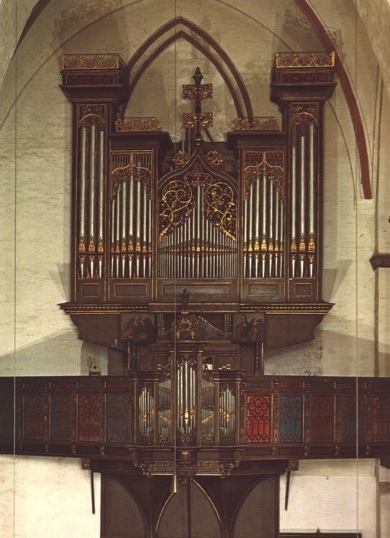 In the early 1990s, the organist at St Jakobi Church in Lubeck, Germany, began to notice problems with the tuning of some pipes in its renowned organ. The oldest were incorporated from an instrument built in 1467; the rest were installed when Friedrich Stellwagen enlarged the organ in 1636. Researchers launched comparison studies of organs across Europe. They analysed corroded pipes, sampled the air in and around the instruments and tracked temperature and humidity readings for a year. At first, some modern phenomenon was suspected, perhaps industrial or agricultural air pollutants. But research uncovered accounts of frequent organ pipe repairs, especially in Germany, as far back as the 16th and 17th centuries. German texts called the damage 'bleifras', or 'lead-eaten'. The location of the corrosion turned out to be an important clue. It began at the bottom of – and inside – the vertical pipes. It was soon realised the source of the problem lay in the organ itself. Wood is crucial to organ building and some varieties, especially oak and walnut, are known to be corrosive to lead as breakdown of the cell walls releases acetic acid. So the oak wind chests of pipe organs are an ideal environment for acetic acid to build – and pipe feet are constantly in contact with the vapours. Some pipes have managed to withstand centuries of exposure unharmed for reasons that are unclear. Over time, as the organ wood ages, its acid output should diminish. But when organ builders refurbish an instrument, the fresh wood can revive the emission process. Also, white glue, used since the 1960s to strengthen joints and seal wind boxes, also emits acetic acid. That combination of new wood and glue may help explain the wave of pipe failures in old organs, as well as corrosion in modern ones. Protective strategies include avoiding the use of oak and white glue and installing ventilation fans. 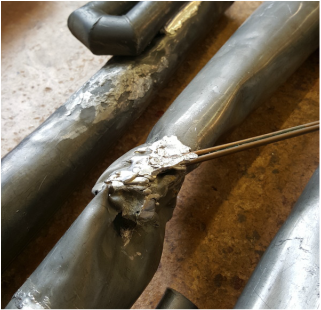 Lead corrosion does not inevitably spell the end of a pipe and our craftsmen can repair damage to corroded flues and reeds. If rotting has recently started, the reed block can be saved with careful work. However, if the corrosion is so serious that the shallot will no longer fit, the block will have to be replaced, a service which we can provide. 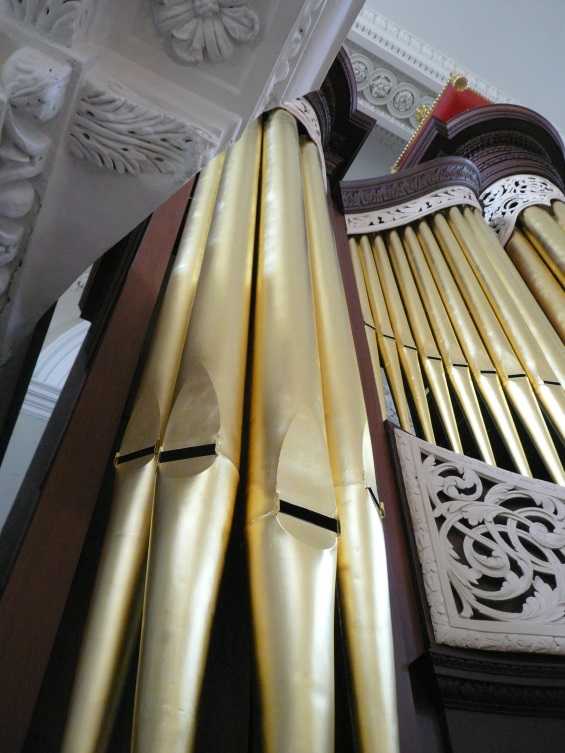 Another problem that can affect organ pipes is tin pest, a phenomenon known for centuries. It was observed in pewter in the 18th century and there's debate as to whether or not it destroyed the buttons on Napoleon’s army on its disastrous return from Russia in the early 19th century. 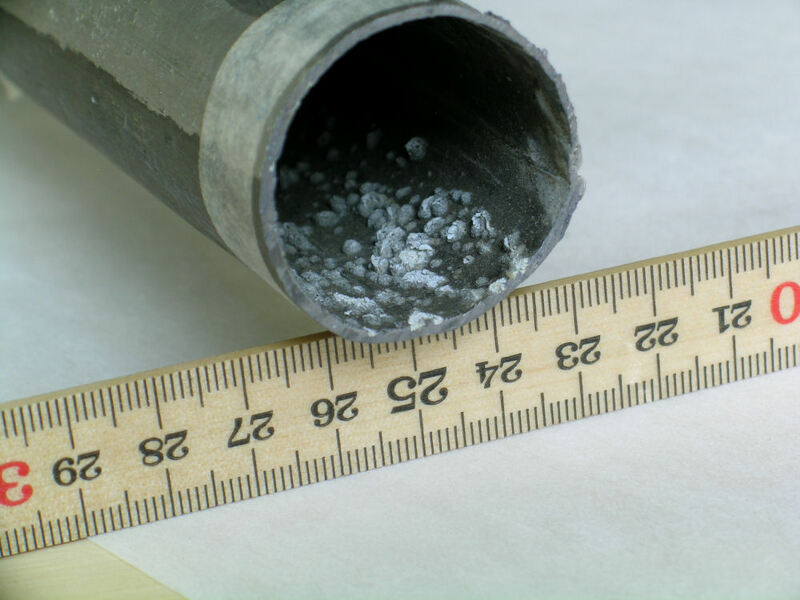 Tin pest can occur in some high tin-bearing alloys at temperatures below 13C. The 'normal' white tin is slowly converted into gray tin of a much lower density. 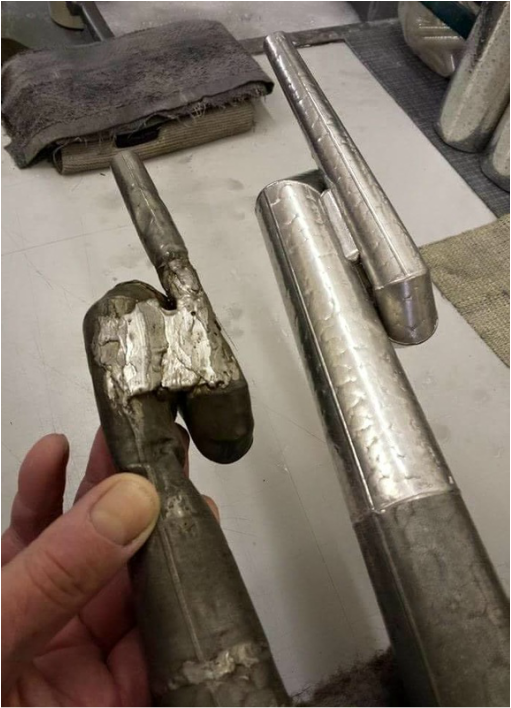 This transformation and resulting expansion causes the tin to crumble.